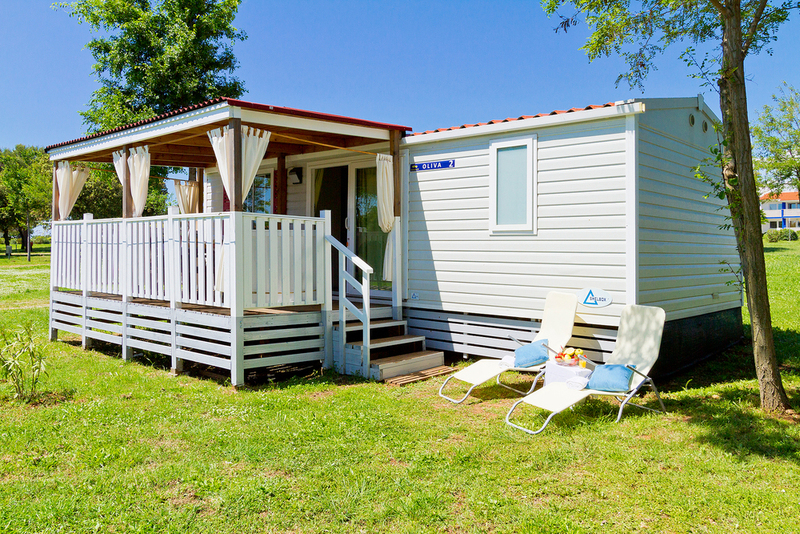 Superior Mobile Homes are set in a green area of Camping Kazela, 2 km from Medulin. Featuring air-conditioned accommodation and restaurants, it offers an outdoor pool, a tennis court and a mini golf course. 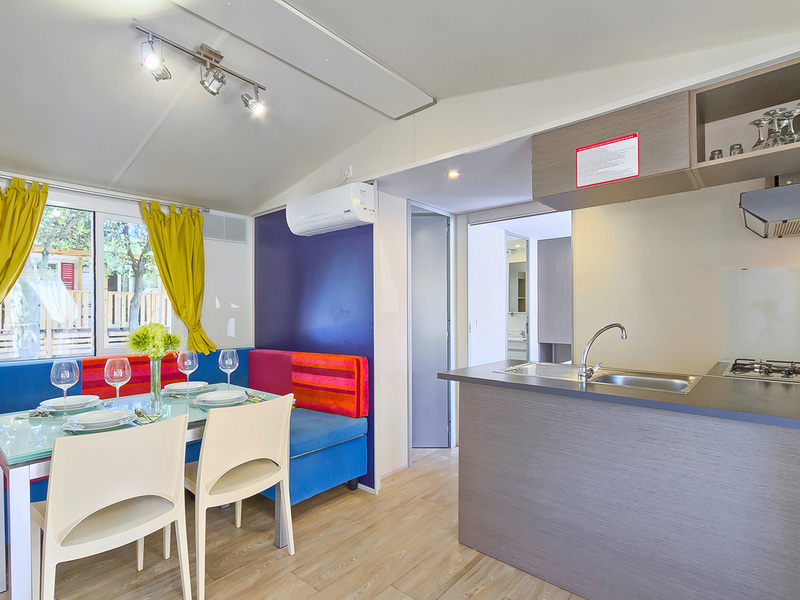 All mobile homes come with a furnished terrace, satellite TV and a kitchenette. 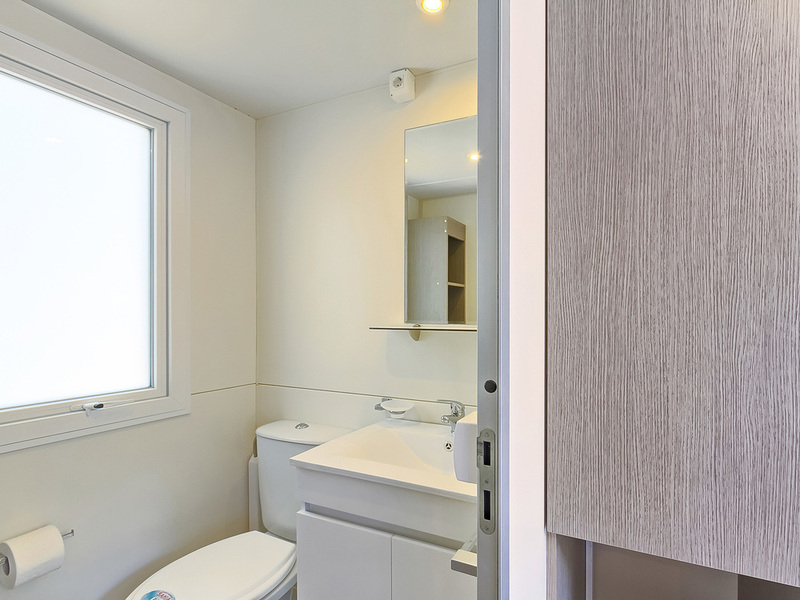 Each unit comprises a bathroom with a shower. Camping Kazela provides 3 à-la-carte restaurants, a pizzeria restaurant, bars, a souvenir shop and a supermarket. Guests can enjoy 2 km of pebbly and rocky beaches with views of the Medulin Archipelago islands. Pula with its amphitheatre, one of the 6 largest surviving Roman arenas in the world, is 10 km away. Pula Ferry Port with frequent links to numerous North Adriatic islands is at a distance of also 10 km. 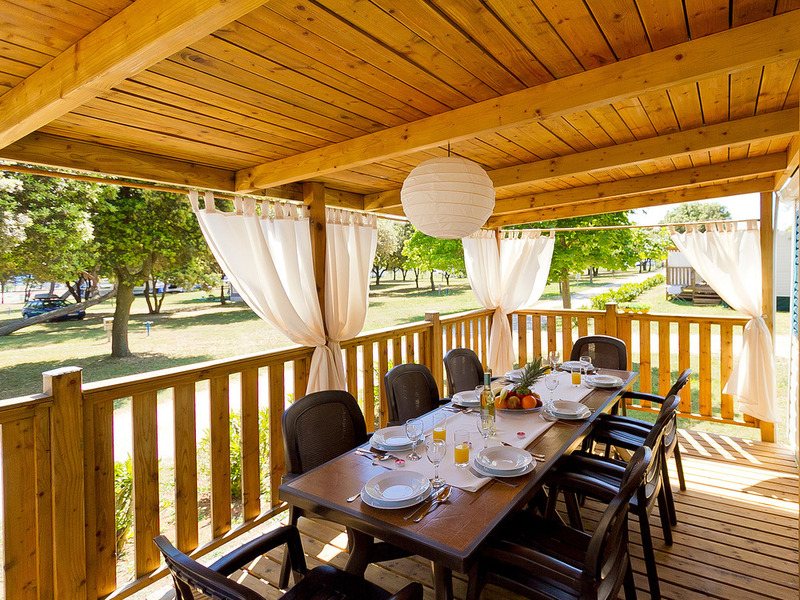 Pula International Airport is 12 km from the Camping Kazela Superior Mobile Homes. 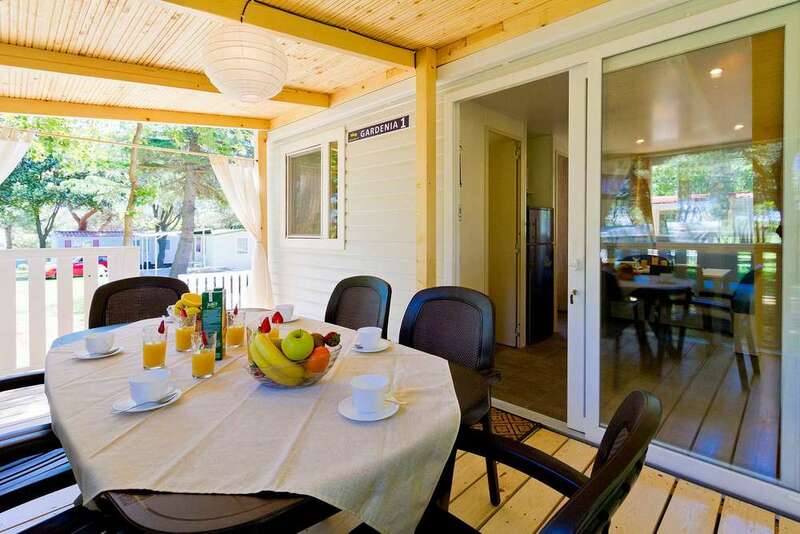 Child friendly, very beautiful resort "Camping Resort Kazela", surrounded by trees and meadows. 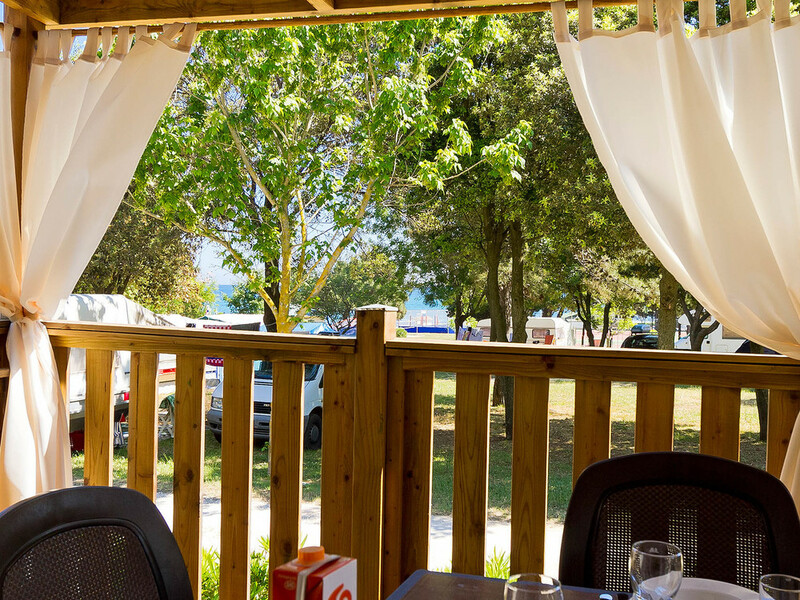 3 km from the centre of Medulin, outside the resort, in a quiet, sunny position, at the seaside, on the beach, in the countryside. For shared use: property 110 ha with plants and trees, swimming pool (depth 50 - 100 cm, 01.06.-19.09.). Children's pool, tennis (extra), children's playground. In the complex: reception, restaurant, bar, internet café, massage (extra). Billiard table, playroom, shopping facilities, kiosk. Parking on the premises. Shingle beach "Kažela", rocky beach "Kažela". Please note: entertainment in the season. The complex has night security. The photograph shows a typical example. In the complex: Acquapark with 26 mini pools, 3 restaurants with sea view, 1 bar restaurant on the beach, sport bar, terrace for mani-festations, sport-facilities, animation, massage on the beach, windsurfing club and diving school, mini-club, aroma massage, excange office, ATM, info office, internet caffe', bike rental, motorbike rental, boat rental, beachvolley, trampolins in the children playground. 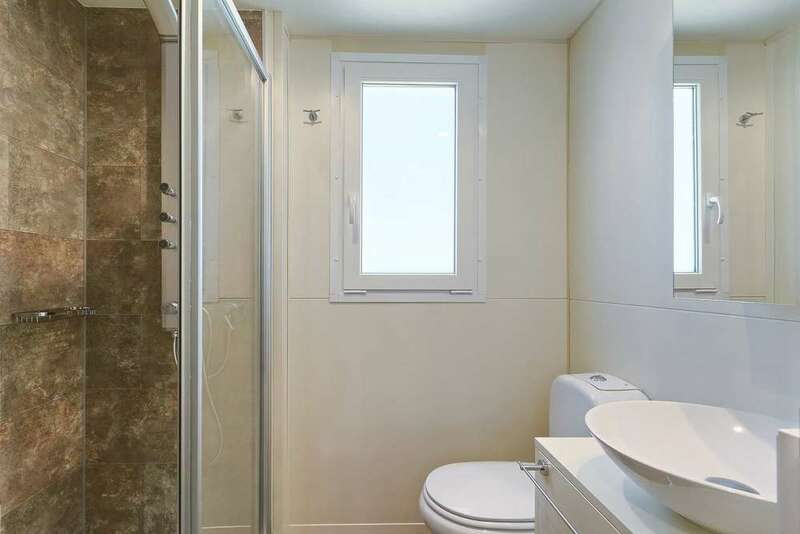 "Oliva", 3-room mobile home 32 m2. Beautiful furnishings: living/dining room with 1 double sofabed (140 cm, length 190 cm), satellite TV and air conditioning. Exit to the terrace. 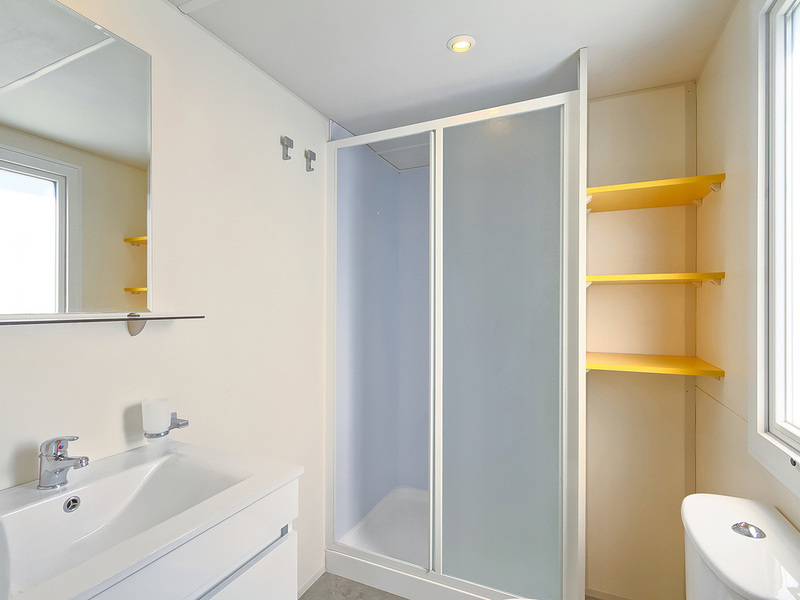 1 room with 1 french bed (160 cm, length 200 cm), shower/WC. 1 room with 2 beds (80 cm, length 200 cm). Open kitchen (4 hot plates, freezer). Shower/WC. Terrace 12 m2, roofed, south facing position. Terrace furniture, deck chairs (2). Facilities: children's high chair (extra). Please note: non-smokers only. The mobile homes are situated 150 - 200 m from the sea and the beach. Parking for 1 car by the mobile home (incl), parking for 2nd car to be paid extra. 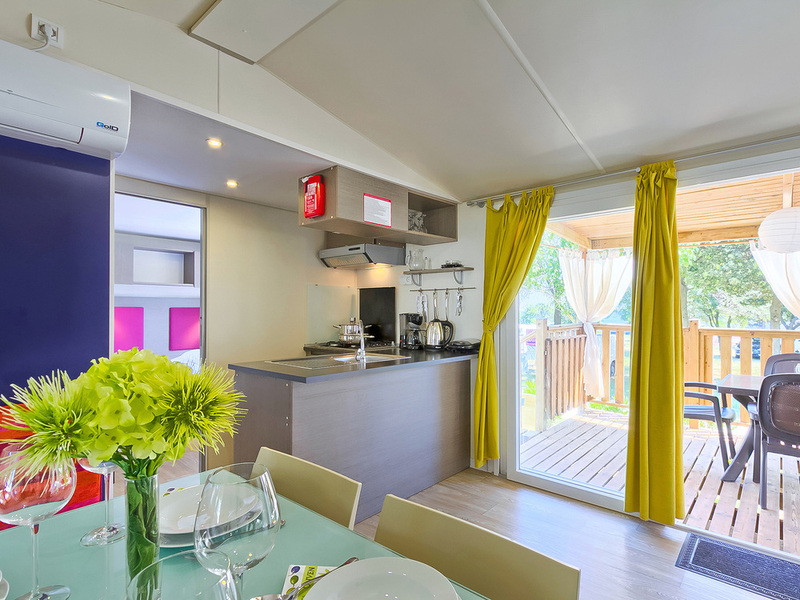 "Lavanda", 4-room mobile home 34 m2. Beautiful furnishings: living/dining room with 1 double sofabed (140 cm, length 190 cm), satellite TV and air conditioning. Exit to the terrace. 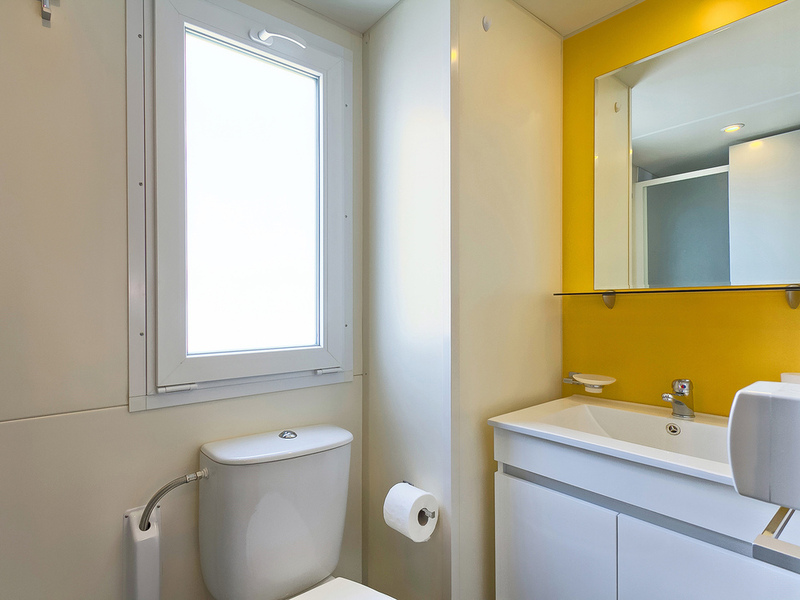 1 room with 1 french bed (160 cm, length 200 cm), separate WC. 2 rooms, each room with 2 beds (80 cm, length 200 cm). Open kitchen (4 hot plates, freezer). Shower/WC. Terrace 12 m2, roofed, south facing position. Terrace furniture, deck chairs (2). Facilities: children's high chair (extra). Please note: non-smokers only. 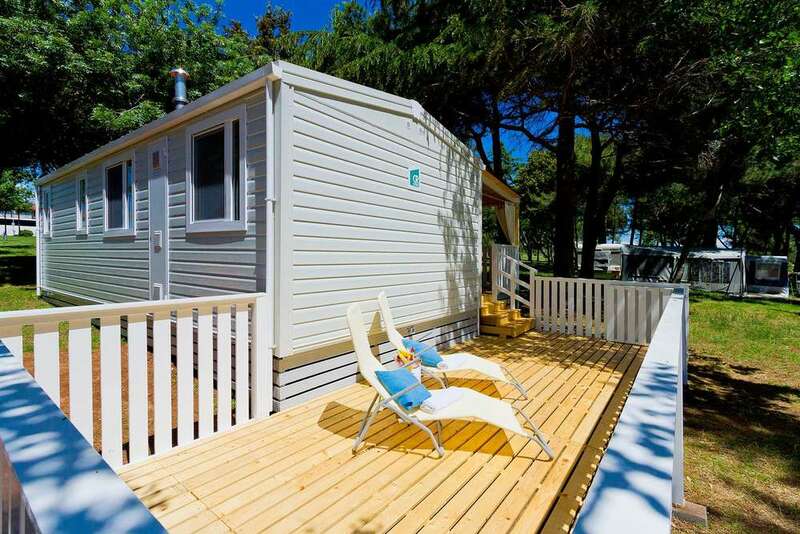 The mobile homes are situated 170 m from the sea and the beach. Parking for 1 car by the mobile home (incl), parking for 2nd car to be paid extra. 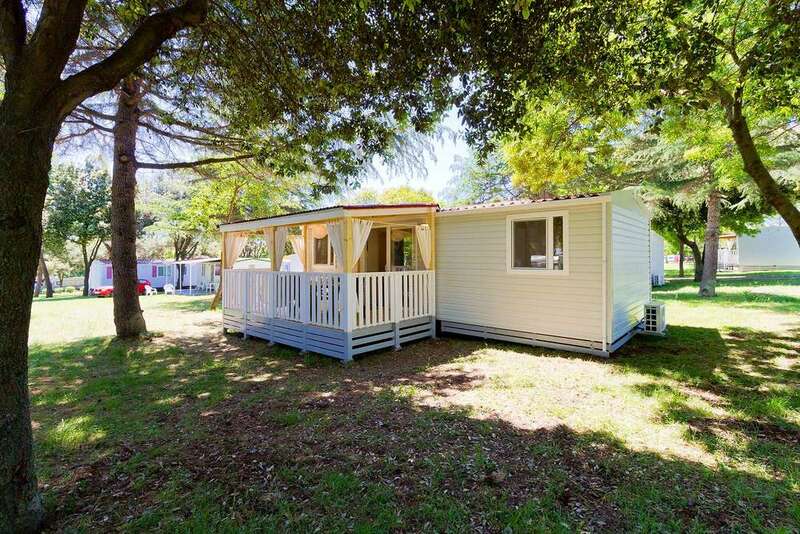 "Gardenia", 4-room mobile home 34 m2. Very beautiful and tasteful furnishings: living/dining room with 1 double sofabed (140 cm, length 190 cm), satellite TV and air conditioning. Exit to the terrace. 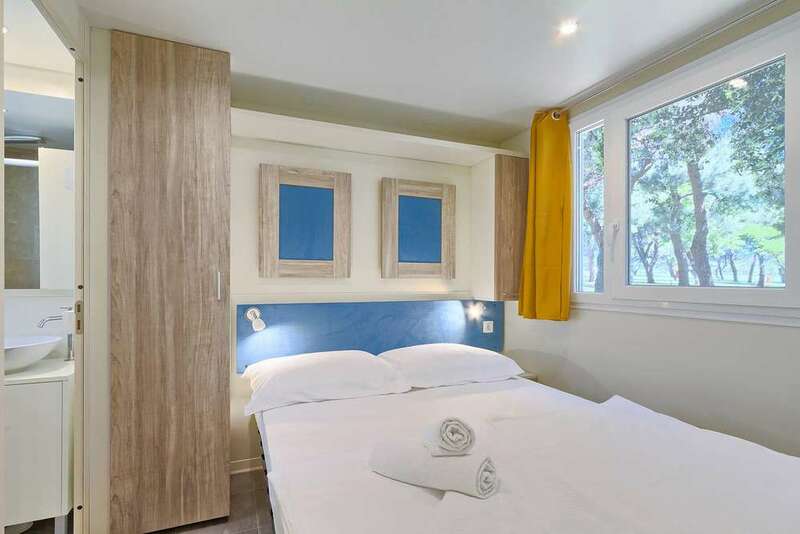 1 room with 1 french bed (160 cm, length 200 cm), shower/WC. 2 rooms, each room with 2 beds (80 cm, length 200 cm). 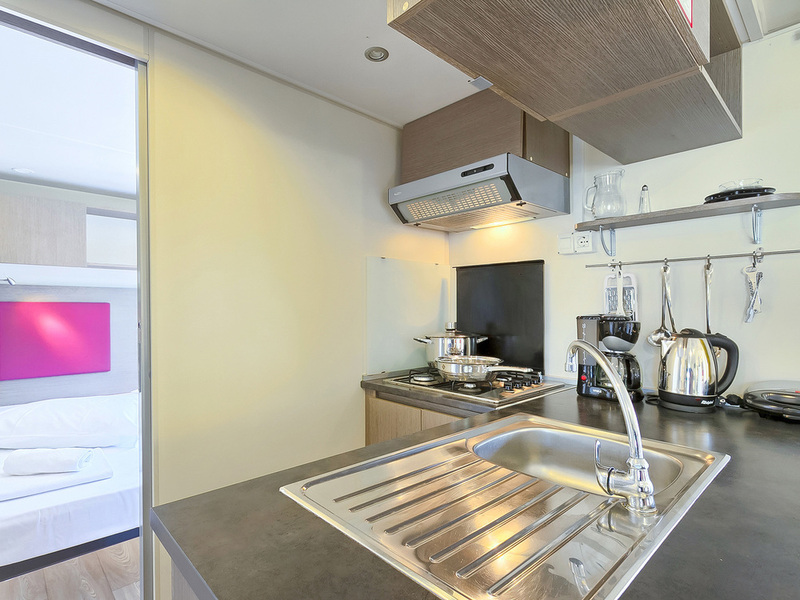 Open kitchen (4 hot plates, freezer). Shower/WC. Terrace 12 m2, roofed, south facing position. Terrace furniture, deck chairs (2). Facilities: children's high chair (extra). Please note: non-smokers only. 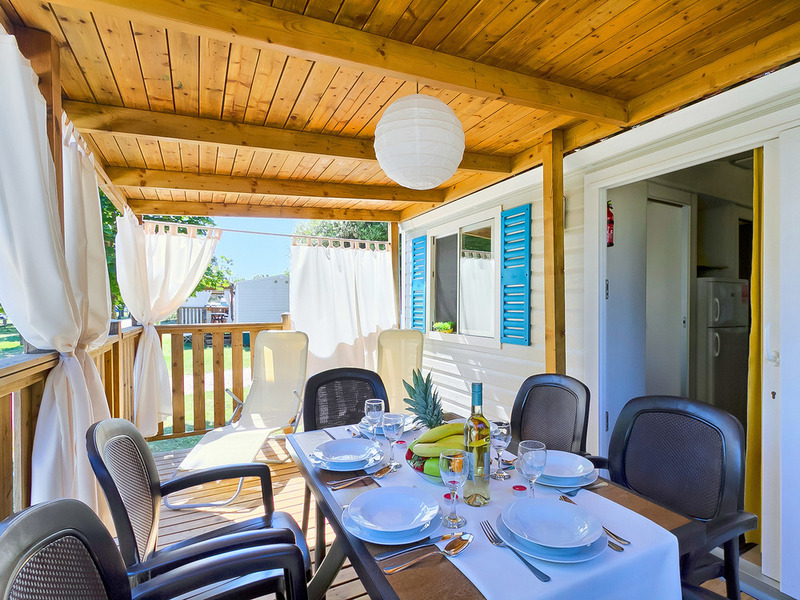 The mobile homes are situated 180 m from the sea and the beach. Parking for 1 car by the mobile home (incl), parking for 2nd car to be paid extra.